SWR Calibration – Allows calibration of antenna system for maximum performance. Antenna Warning Indicator – Illuminates when antenna needs checking. 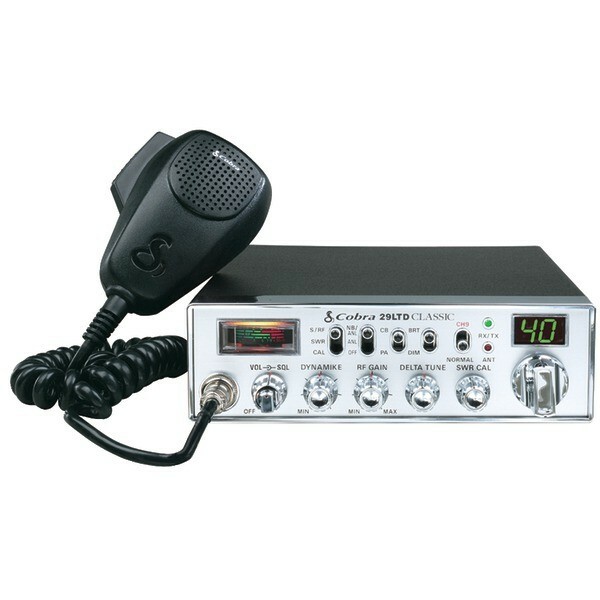 4 Watts Power Output – Maximum power allowed by law for extended range of communication. Instant Channel 9 – Immediate access to emergency channel 9. After over 40 years of excellence in the CB category, the 29 LTD Classic is now better than ever! Professional driver-requested improvements include a front panel microphone connector (for convenient in-dash installation), a 9-foot microphone cord (for easy reach anywhere within the cab), and tactile controls (for added convenience and safety when adjusting functions). It’s the number one choice of professional drivers!